I found the whole process of getting a virtual gastric band really interesting. I felt the effects from it the day after the first session and each subsequent session just built on it more and more. I feel that it has changed the way I think about food and my eating habits completely. I now eat much smaller portions and don’t have any cravings or want to eat for the wrong reasons. The weight loss has started and I believe will continue until I reach my goal weight. Lynda is great to work with. She understands the issues around weight loss and works with you to overcome any challenges and give support. She is an excellent hypnotherapist with a friendly, caring and supportive manner. I have no hesitation in recommending Lynda and the virtual gastric band programme*. After completing the Virtual Gastric Band with Lynda, I am loving not worrying about food and enjoying the small weekly changes my body is going through. The feeling of fullness hits and it sticks. If I do eat more than what I need, I find my stomach gets uncomfortable quite quickly and I can barely bring myself to look or think about food once that happens. Previously, my body & mind didn’t register as being full, so I would keep on eating. 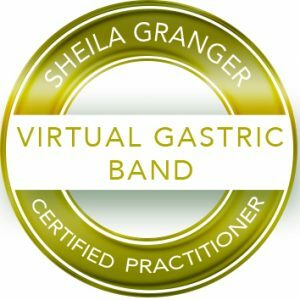 “Working with Lynda, I have found the virtual gastic band to be effective in helping me to reduce the amount I eat as I feel fuller sooner and don’t have a tendency to overeat as I did previously. I am more aware of when I am full, when I am actually hungry and when I want to eat because I’ve had a bad day or am bored. Because I’m more conscience of when I want to emotional eat, I can choose not to eat which is very liberating as I don’t think about food or eating half as much as I did before. 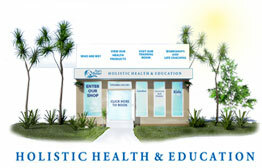 In conjunction with the virtual gastic band, I have had several aversion therapy’s which have been amazing! I have a very sweet tooth with a reasonably constant craving for icecream, biscuits and chocolate; since having aversion therapy’s for these things I have very little if any desire for sweet things. I have pretty much eradicated sweet things from my diet and when I do feel like something sweet, I feel completely satiated by only a small amount. This is a total change considering I could sit down with a block of chocolate or packet of biscuits and 5 minutes later wondering where half of it went! I truely can’t say what a change this has made to my eating habits – I don’t feel like I’m “missing out” on anything at all and actually feel really good that I’m no longer eating so much that I feel gross. I have never eaten vegetables even as a child. I would either gag or dry reach. I hated it. So many times I would look at vegies and want to eat them but just couldn’t. After having my daughter I realized I needed to do something. I had 2 sessions with Lynda and and I now eat vegetables. Not all of them but its a start and I am loving that I can try them now. I would recommend hypnotherapy with Lynda Johnson, to anyone trying to overcome something. *Disclaimer: Outcomes can vary on an individual basis, as a professional therapist we cannot guarantee that all clients will achieve these results.